See St. Vincent's two best gardens on this one tour. The Boatnical gardens withits old world charm is distinctly different from the Montreal Gardens which lie on a quiet mountain top. This lush and tropical island offers the perfect environment for nurturing wonderfully exotic flora and fauna. Your tour begins with a drive through the bustling capital of Kingstown, where you can view its historical and modern buildings. In the centre of the town, you'll see the War Memorial, erected in memory of the brave Vincentians who fought and died in the First World War. Relax and enjoy the tranquil atmosphere of the beautiful Botanical Gardens, established in 1765. 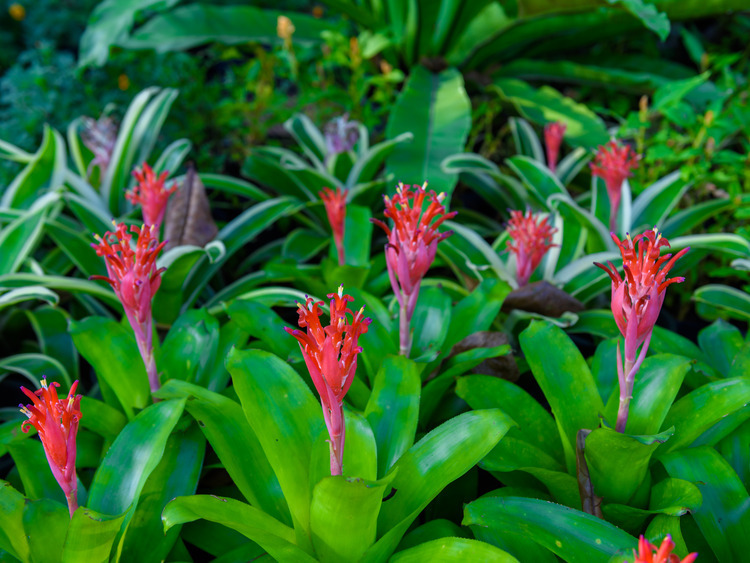 Within the 8 hectares site, you'll see the wide variety of tropical flora that thrives in this natural environment. Enjoy a stunning scenic drive for 45 minutes to reach the lush Montreal Gardens, tucked away in the interior of the Mesopotamia Valley. This area is commonly known as the Food Basket' due to its rich and fertile soil. The Gardens are located at an elevation of approximately 450 metres above sea level, affording you dramatic views of the surrounding hills and valleys. Os lugares são limitados, portanto, faça logo a sua reserva. Este tour não é aconselhado para os passageiros que têm problemas de locomoção. É aconselhado usar calçados cômodos para passear.